For the four years we’ve been living in Beijing, we’ve always made a trip back home for the summer and the Christmas holidays. We’ll spend time with my parents, my in-laws, and with my sister. I find that nothing much changes, but I don’t mean the people; friends and family have had babies, some have gotten new jobs while others have moved house. When I say nothing much changes, I mean the places where we stay and visit. Perhaps it’s a UK thing, but stores, restaurants, and bars tend to change ownership infrequently. I know this isn’t the case in the major cities, but even trips to London you’ll find the same cafes that have been there for years. I find this pace of change somewhat comforting. Boy, is it different in Beijing. You only have to read the city’s magazines (including our very own the Beijinger) to see the pace of change in terms of new bars, clubs, and restaurants. You may say it’s like any other major city going through rapid development and change, but I’m not so sure. I think the rate of change in Beijing is unique to this bustling city. One reason for such a high turnover is not to do with owners not making any money, but more to do with rent and lease changes. So many good places fall by the wayside if they can’t find an alternative location. It’s not just in the center of Beijing. Out here in Shunyi, things change at quite a pace too. Since the kids finished school for the summer, there have already been a number of openings and closings. At Cathay View Plaza, the BabyGro store has closed. BabyGro is still in business, but will continue as an online store only. There is refurbishment going on in the space next door, but no indication yet as to what it might become. Switch Café shut its doors, but according to the owners, the Culinary Capers catering arm is still running from there. Next to Pie Squared is Caribbean High Bar and Restaurant. To be honest, I’m not sure how long the bar has been there, so I went the other day to see what it was like. It was open, there was music on, but no one was home. Thankfully, Boulangerie Nanda is still going strong, although they are closed until August 18 while they review their menu and source new products. I look forward to them reopening with even more delicious breads and baked goods as well as their addictive bagel chips. 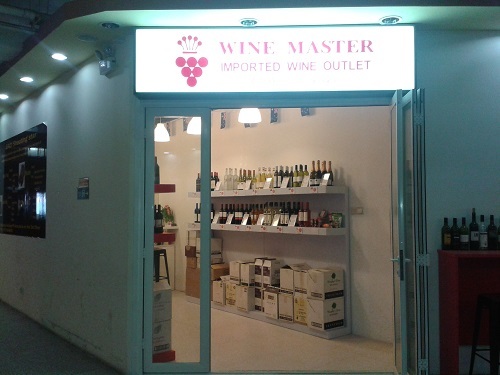 Over at Riviera Plaza, a new imported wine outlet called Wine Master has opened up on the second floor. They stock a good range of reds, white, roses, and sparkling wines with the potential for discounts on bulk buys. Not such a recent opening, but now fully stocked is Kidsmile Party and Balloon Shop with every party item you could need, including helium balloons, invites, banners, tableware, and piñatas. They also stock a selection of toys and games, with gift bags and wrapping available. The store can organize clowns, magicians, face painting, bouncy castles, candy floss, and popcorn machines. It’s a one-stop shop for party planning and a very welcome addition to the Plaza. The flower stall has gone, and as yet there’s nothing in its place. The large central space, which used to be Sorabol Restaurant, is undergoing refurbishment. If the rumors are correct, it’s set to be a Hong Kong style dumpling and noodle restaurant, with a soft opening planned for October. Mexican restaurant Avocado Tree had a sign in the window saying “taking a break for the summer, reopening August 5.” I was there on August 7; tables and chairs were still piled haphazardly, ovens and units dusty and covered over. I’m not sure it will be reopening just yet. I stopped by Comptoirs de France and sampled one of their new drinks. It’s called T’Ka and consists of tea, coffee, and milk, served cold. I opted for the mint tea version, which was lovely and refreshing. You can also try vanilla or Lipton tea for RMB 28. They also have milkshakes on the menu for summer, RMB 36 with flavors including chocolate, coffee, caramel, and mango. Who’s Inside the Bunny Costume?